Today Linden Lab issued a press release announcing Sansar opens to the public in Creator Beta. The next chapter has now started where everyone will now be able to create, discover and share their own social VR experiences on the brand new platform. SAN FRANCISCO – July 31, 2017 –Sansar™, the world’s leading social VR platform, today opened its creator beta to the public. Sansar empowers individuals, communities, schools, studios, corporations, brands and others to easily create, share, and ultimately sell immersive 3D social experiences for consumers to enjoy on HTC Vive, Oculus Rift, and Windows PCs. Developed by Linden Lab®, the company behind the groundbreaking virtual world Second Life®, Sansar is a brand new platform built from the ground up to enable everyone to become a creator. Sansar is free to use, with additional capacity and customer support available to creators through paid subscriptions, starting at $9.99/month. Founded in 1999, Linden Lab developed Second Life, the largest-ever virtual world filled entirely by the creations of its users. In 2013, the company expanded its product portfolio with Blocksworld, a lighthearted build-and-play system for kids and grownups alike. Linden Lab is currently developing Sansar, a new platform that empowers people to create, share, and ultimately sell their own social experiences that are accessible with VR headsets and via PCs. Sansar is free to use and available now in creator beta at Sansar.com. What are your first impressions of Sansar Creator Beta ? Check out this new video uploaded today showing Anrick a London based VR director sharing his experiences creating the monkey temple with Sansar Creator Preview. During the past week three new videos of Sansar Creator Preview have been uploaded on the official Sansar YouTube channel. Sansar Creator Preview will open to the public sometime before the end of the summer. If you have missed any of the latest Sansar videos then you can watch them all below. 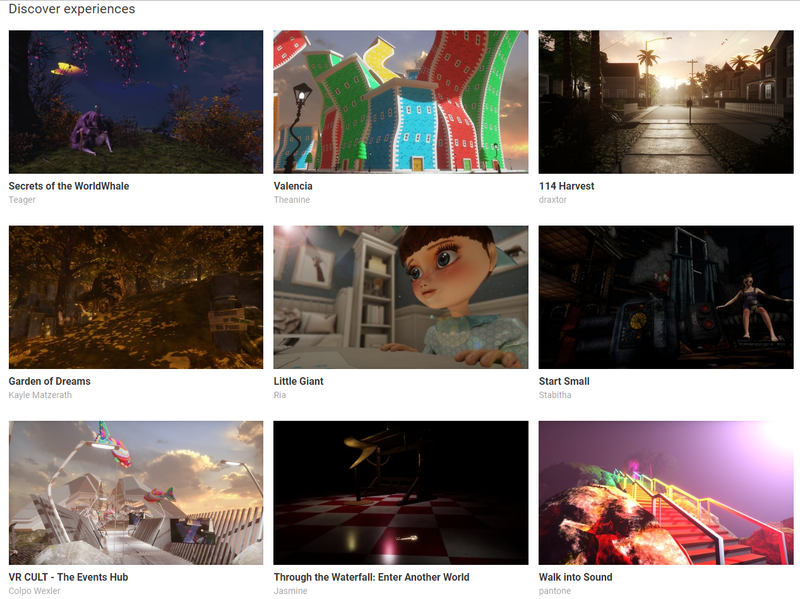 The latest three videos are all pretty impressive showing a glance into Sansar. Hopefully the lab will launch Sansar Creator Preview within the next month or so. Blueberry shares her experiences creating “Blueberry Town” and other works in Sansar. 3D content and environmental artist Maxwell Graf shares his thoughts creating “Neptune’s Revenge” and other roleplaying experiences in Sansar. Ria shares her thoughts on this new platform and offers a sneak peek at “Little Giant,” one of the first experiences created with Sansar during the creator preview. What do you think of these new Sansar Creator Preview videos ? This week a new promotional video of Sansar Creator Preview was uploaded on the official Sansar YouTube channel showing another sneak preview of Sansar. The video runs for 1 minute and 38 seconds which is definitely worth watching if you interested in Sansar. “Ria shares her thoughts on this new platform and offers a sneak peek at “Little Giant,” one of the first experiences created with Sansar during the creator preview”. Linden Lab have sent out even more invites to Second Life users in recent days according to various sources. Once you receive the Welcome to Sansar Creator Preview email, accept the invitation and then you are ready to get started with Sansar.